Last year my daughter and I set out to play on as many playgrounds as we could. We were determined to find the best playgrounds where we live and in the process, tried out almost 50 playgrounds! 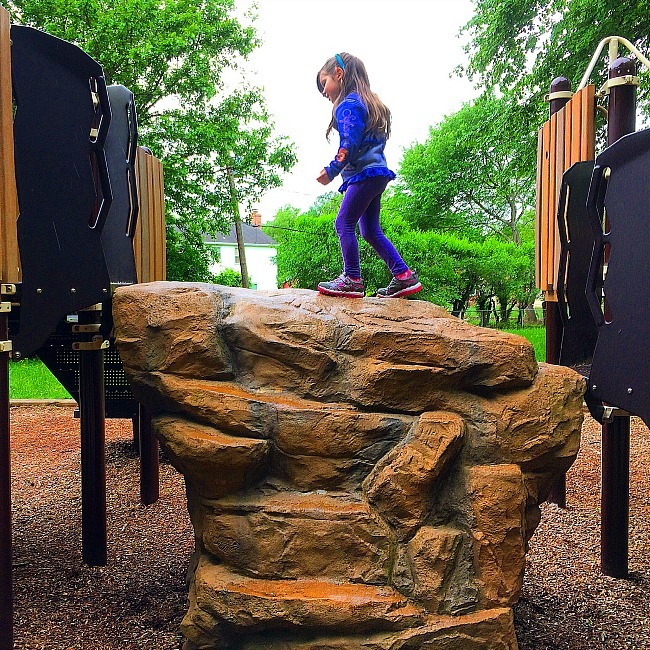 During our playground challenges I observed many things about playground play and outdoor play that were critical benefits for my daughter’s growth. Turns out my observations were spot on. If you google ‘benefits of playgrounds’ or ‘why kids need outdoor play,’ you will come across dozens of scientific studies extolling the virtues of kids being active outside. Playing outside sparks a kid’s sense of wonder. Whether it is a nature hike or a new set of swings and slides. Being outside is an adventure! Skills such as running, jumping, climbing, gripping. Traversing playground equipment helps with all of these. It also helps with coordination, flexibility, and balance. Basically, taking your kid to a playground is one of the most healthy things you can do for them! Granted, all playground play needs to be supervised. 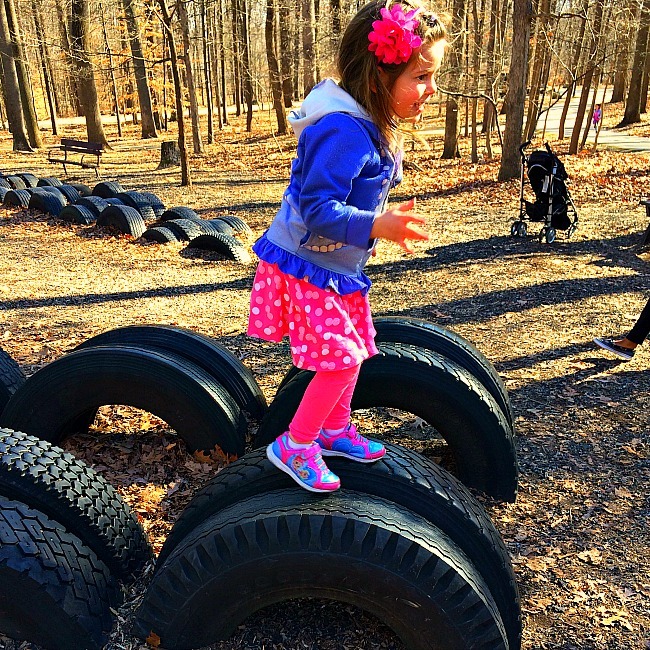 However, kids learn appropriate risk-taking and boundary testing within a relatively safe environment (especially with the newer playgrounds that have rubber mulch covering the ground). 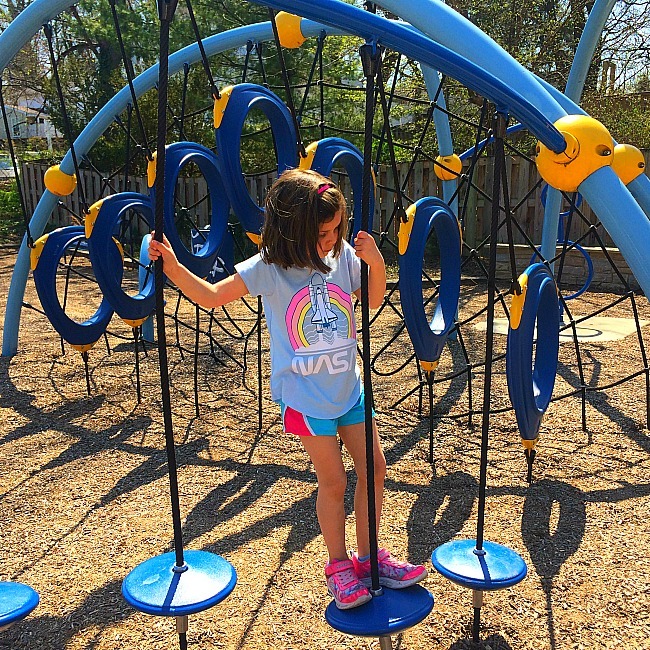 Features such as rope climbing nets, zip-lining, balance beams, and other climbing structures offer a fantastic way for kids to face their fears and become more resilient. Speaking of resilience, playground play builds confidence… and not just confidence for physical skills either. Kids benefit tremendously from being thrown into a new environment with new kids to get along with and interact with. Kids over the age of 4 or 5 need about 60 minutes of vigorous exercise a day. Where else will they get that other than by playing outdoors? Playground play leads to greater muscle strength, bone density, and stamina. Would you like your kids to want to be outside? Then let them play outside. 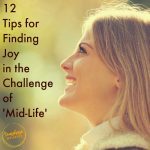 Or, if they are addicted to Fortnight or the Kindle, take them to a new playground or a nature hike in order to make outdoor play even more appealing. Yes, playground play boosts social confidence because kids will likely play with kids they don’t know. It also encourages social skills such as sharing, teaming, following fair play rules and norms, and learning the art of small talk (a totally useful skill when they are on a first date or first job interview later in life!). Related: Outdoor Games for Kids that don’t require any equipment! A slide becomes a castle, a swing turns into a rocket, a balance beam is the path over molten lava. 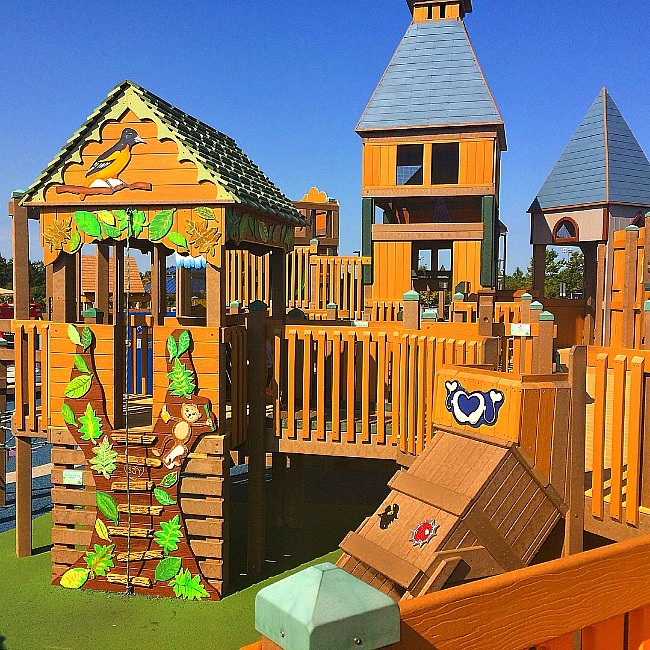 Kids have the best imaginations and playgrounds are the perfect backdrop for their next imaginative adventure. Kids who are active tend to burn their pent up energy and are better able to focus, make good choices, and sleep better. 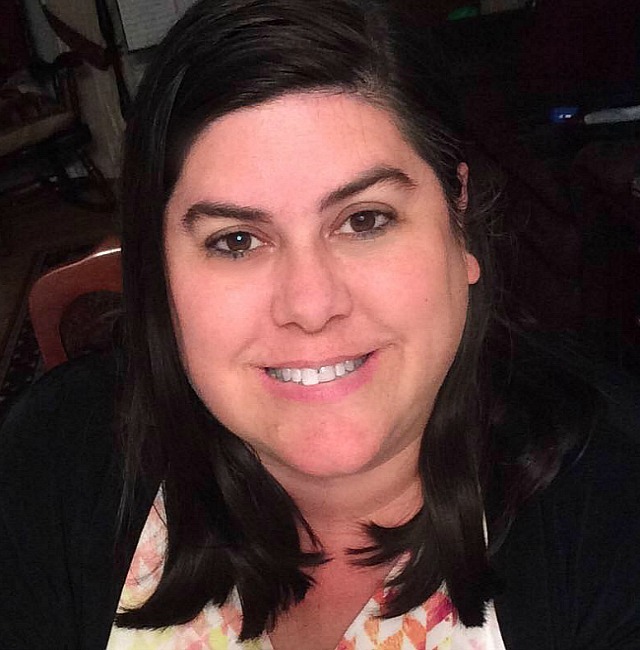 Are you having a hard time getting your kids to finish their homework? Maybe a playground play date is a good idea after dinner! Adults aren’t the only people with anxiety and stress. Elementary school can be super stressful– figuring out who will be first in line, not raising your hand at the wrong time, or sitting next to the kid who eats his boogers. 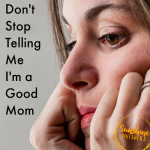 Kids come home from school with issues they have to work through. Just like exercise helps adults relieve stress, play does the same thing for kids! Related: Try this super fun Nature Scavenger Hunt with your kids! 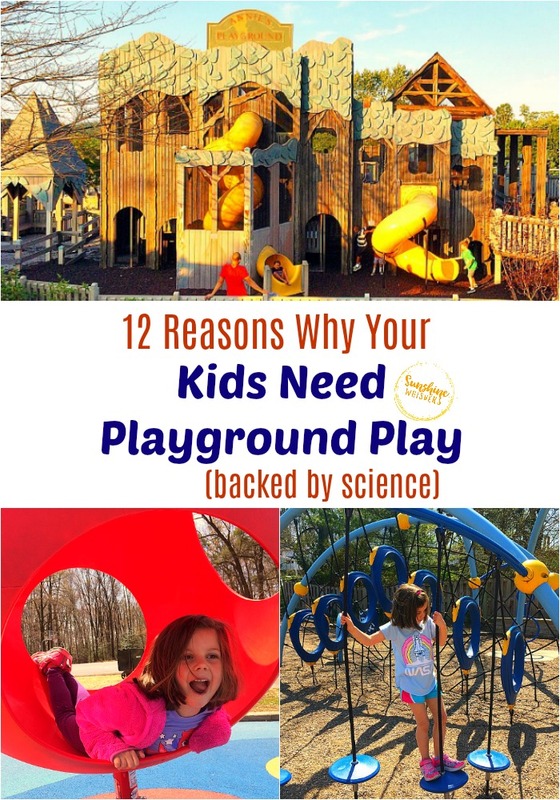 Whether it is figuring out how to make a fort out of sticks, or calculating how far to jump to successfully navigate the gap between the playground floor and the slide pole, playground play is all about kids coming up with solutions. 12. It’s just plain fun! 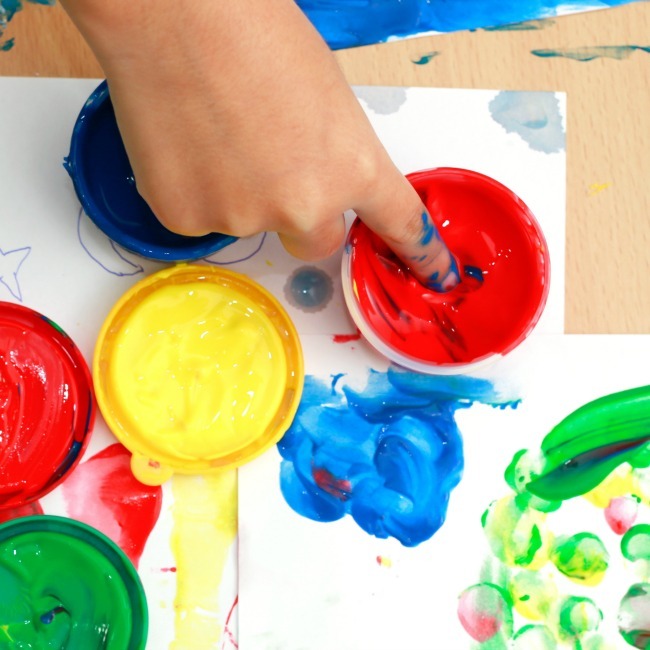 How often does your kid just get to let loose and be a kid? 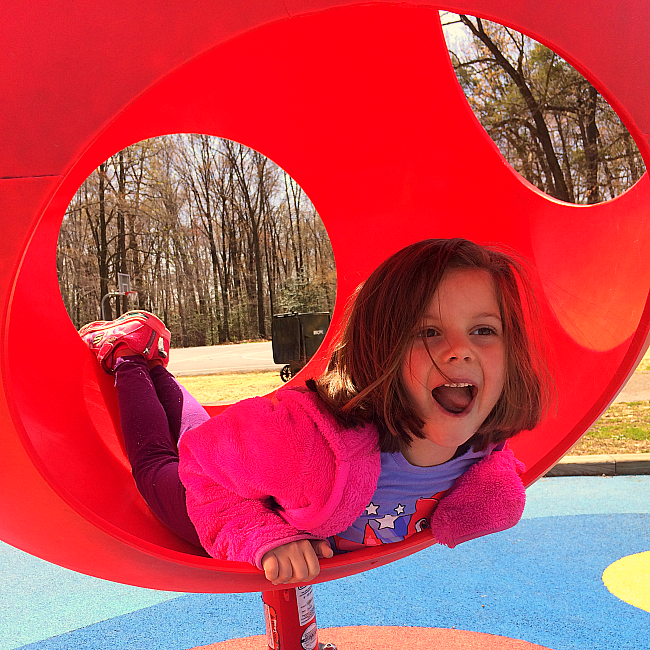 Playgrounds are the one place kids can scream and run and be silly… and it is not only expected but encouraged! 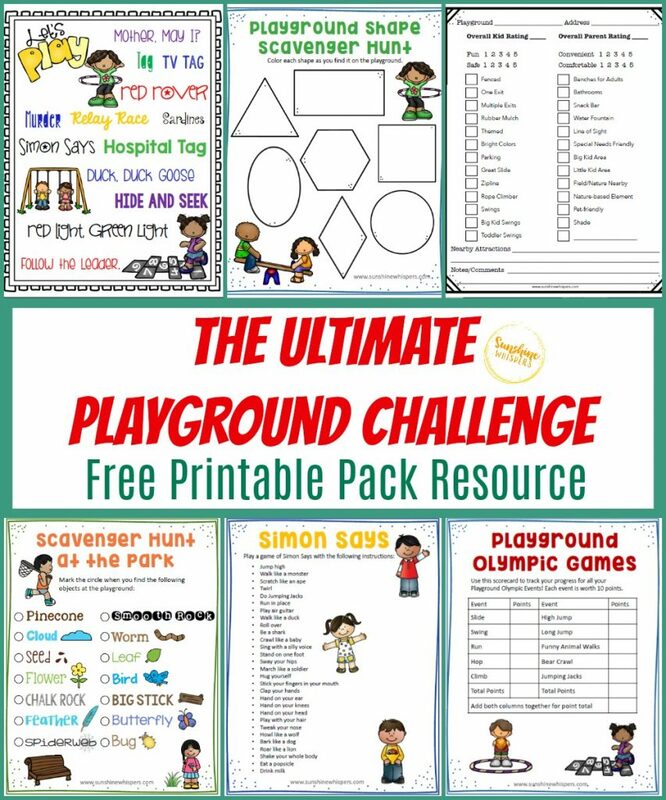 The Playground Challenge Activity Fun Pack! Do you remember that playground challenge my daughter and I did last year? Why not do one of your own? Why not set out to explore the playgrounds in your area and figure out which ones are ‘the absolute best!’? If you want to try a playground challenge with your kids, or if you just want some ideas to pump up the fun on your next outdoor adventure, just click the photo below to subscribe to my newsletter and receive this FREE activity fun pack right now!